Hidden in one of LA's many street pockets is a thriving facility that will revolutionize the city's economy, natural environment and future trajectory. Clean technology is a relatively new, yet much-needed industry in California, the United States and the world. With the destructive effects of fossil fuel emissions, waste accumulation and natural resource depletion asserting themselves as significant threats to society’s wellbeing, clean tech companies are stepping forth to offer solutions to the Earth’s unsustainable growth. Fortunately for them, one organization in Los Angeles wants to cultivate efforts to bring their dreams of environmental sustainability into fruition. 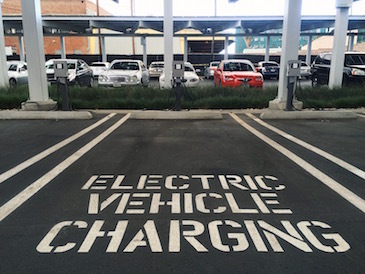 The parking lot contains various bays for electric cars to charge. 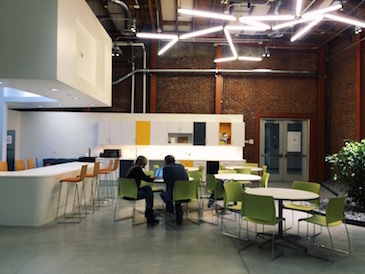 LACI offers coworking office space as part of its membership plans. LACI hosts events, guest speakers and roundtable discussions. 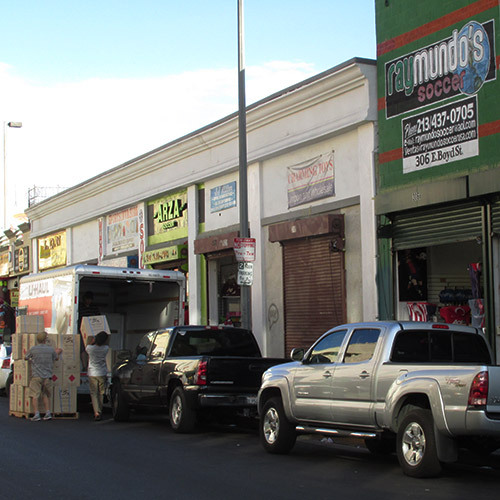 The Lab will facilitate innovation and product creation in Los Angeles. 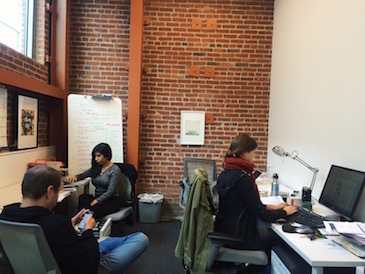 Employees of LACI and the portfolio companies come here to relax and eat. 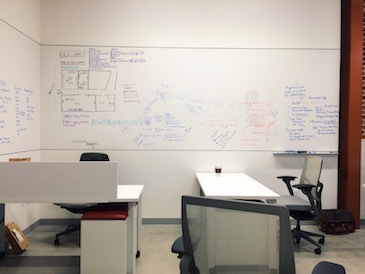 It is a central space for brainstorming and ideation. Repurpose, a company that creates tableware from plants, works here. 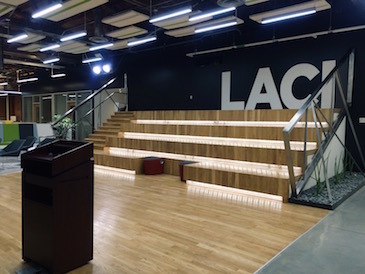 Located around the Arts District and Little Tokyo, the Los Angeles Cleantech Incubator (LACI) stands out as one of the city’s beacons for innovation and a symbol of clean technology’s arrival in Los Angeles. The facility is a stark departure from the older and less advanced electronics stores in the Toy District and Little Tokyo. Furthermore, LACI, which started out as a desire by the Villaraigosa administration in 2007 to build the country’s central green economy, has now become one of the nation’s premier clean technology centers. 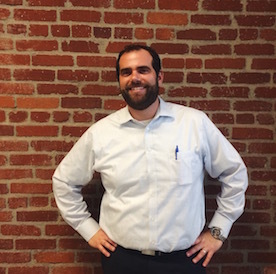 LACI, which is funded by the Community Redevelopment Agency and the Department of Water and Power, aims to nurture the growth of early stage clean tech companies by giving them access to expert mentorship and advisory, strong investment capital networks and business education and training. Its slogan, “For entrepreneurs, by entrepreneurs” embodies the collaborative and innovative spirit of its services and people. LACI, its facilities and companies come at a necessary time for Los Angeles, which faces several environmental threats. Overall, the city is doing poorly in the environmental department. It scored grades ranging from a C- to a B on a 2015 report conducted by Institute of the Environment and Sustainability at UCLA. In terms of water quality, the city’s groundwater wells and surface water quality is poor and much of it is contaminated by substances like benzene, MTBE and perchlorate. In terms of ecosystem health, urban streams, coastal wetlands and vegetation are suffering due to extreme water stress and an unprecedented drought. In order to maximize the organization’s effectiveness and environmental impact, LACI puts companies through a rigorous application process. So far, 40 firms have gone through the incubator. All applicants are evaluated based on their target market, potential funding and revenue streams, management team and control over intellectual property. Only 1 in 10 startups make it through, but once they succeed, LACI makes a five-year commitment towards providing hands-on guidance and bringing these companies to the next level. Furthermore, LACI partners with universities like USC and UCLA, research organizations like NASA’s Jet Propulsion Lab and local non-profit organizations to nurture the development of their startups. So far, LACI’s methods and resources have proven to be effective. The organization was rated as a top 10 global incubator by UBI Global and was recognized by JP Morgan Chase as the most advanced small business cluster in the country. Furthermore, it has raised over $60 million for its 28 portfolio companies, two of which are rising quickly in the clean energy industry. Pick My Solar, an online marketplace that streamlines the solar technology purchasing process for homeowners, was named the “Outstanding Small Business” by the U.S. Small Business Administration. Another company, Chai Energy, which created an app that recommends energy saving tips based on energy consumption data, was featured in Forbes and USA Today and accepted into the Microsoft Accelerator Program last year. 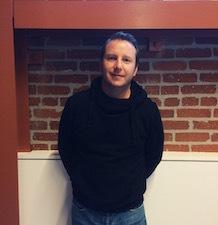 "There aren’t a whole lot of incubators focused in this clean tech space. We’re one of the few in the United States." Aside from its in-house services, LACI will also provide other facilities that will catalyze environmental innovation in the city. 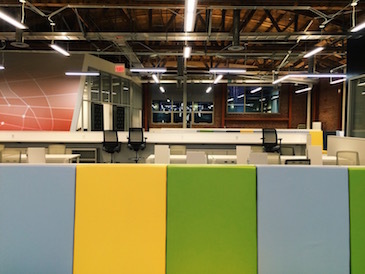 One such resource is the La Kretz Innovation Campus Prototyping Lab, a 60,000 square foot building featuring research and development labs, water jet rooms, 3D print shops and welding rooms. 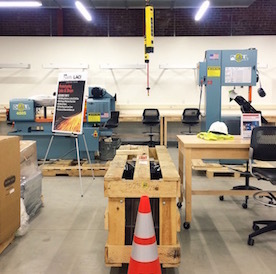 Startups around the city can come to the lab to create, test and certify their ideas with state-of-the-art equipment. Another resource is the Advanced Transportation Center of Southern California, which aims to advance the adoption of alternative fuels and serve as the information and business development center for advanced transportation in California. 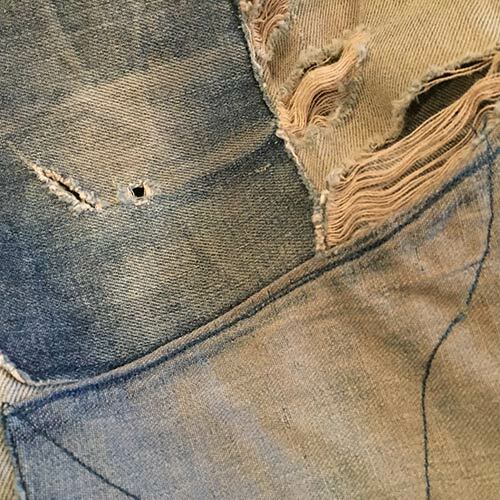 Despite LACI’s innovative technology and grand vision for the future, it sees many areas for improvement. Like many other non-profits, the organization is limited in size because of its limitation in available resources and funding. Furthermore, the equity stakes that they take in their portfolio companies does not translate into immediate income. Going into the future, LACI expects to expand into different areas. It predicts that it will have companies create products that make agriculture and industrial materials more efficient and eco-friendly. The organization also wants to grow in size and become a major presence in the city. 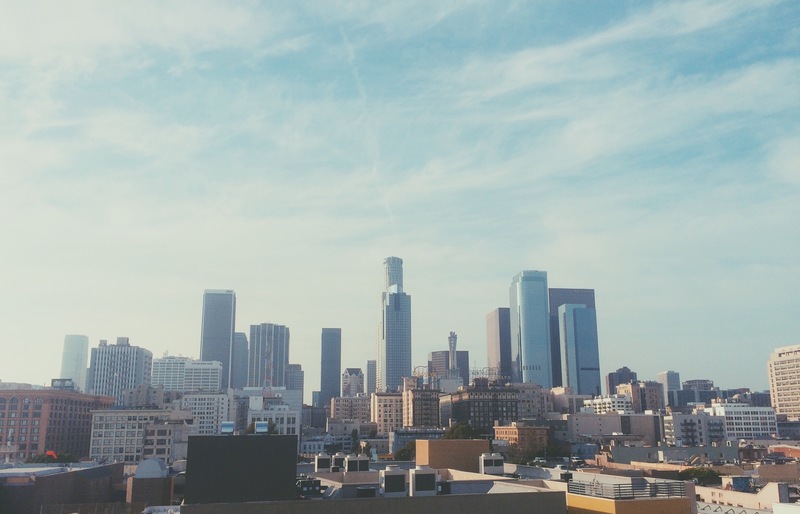 How has Los Angeles been doing environmentally over the past year? The UCLA Institute of the Environment and Sustainability released a 2015 report card assessing the city's environmental health. Check out some videos to learn more about environmental issues and innovations in Los Angeles and California. Silicon Valley is home to several companies who are on the cutting edge of green technology. This video covers some that are inventing new products to change the world. A State of Emergency from Casey Acaster on Vimeo. California is currently in an unprecedented state of drought. This film takes a look at the different stakeholders in the struggle for fair water distribution. Purchasing solar technology can be a difficult and tedious process. Pick My Solar aims to make the shopping process easier, while saving homeowners unnecessary costs. No style defines Little Tokyo fashion. From vintage clothing, to cosplay costumes, to unique sneakers, the area’s diverse set of shops provides niche styles to a wide array of customers. In Little Tokyo and the Toy District, small businesses run the gamut from century-old Japanese-American community mainstays to newer storefronts hawking cheap imported sporting goods, toys and other knick-knacks. Statistics do not tell the story of immigration. People do. 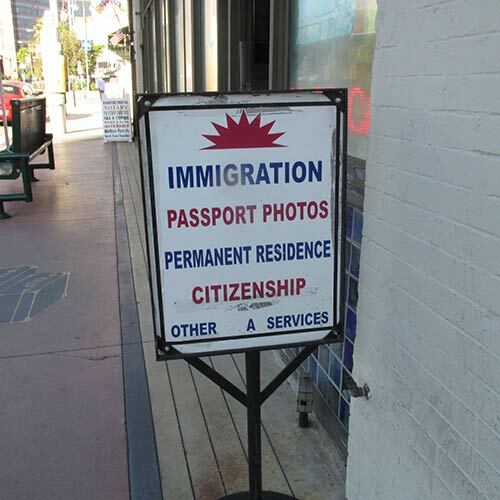 Meet the immigrants of Los Angeles’ Little Tokyo.